Recently I have thought about joining a gym again, as a way to really stay motivated after the Tone it up challenge. Exercise is definitely an important part of toning up or weightless. However, to truly see results, what you put in your body is what makes all the difference. Sticking to a healthy diet can be tough, particularly for someone who loves to snack like I do. However, there is always a healthy alternative, that allows you to shift those pounds or show those abs. A great start to the day or particularly after a work out, protein shakes or smoothies are a perfect snack or even breakfast to enjoy. My go to protein shake is; Frozen banana, blueberries, Perfect fit protein powder, almond milk and sometimes I add a few oats to thicken it up. 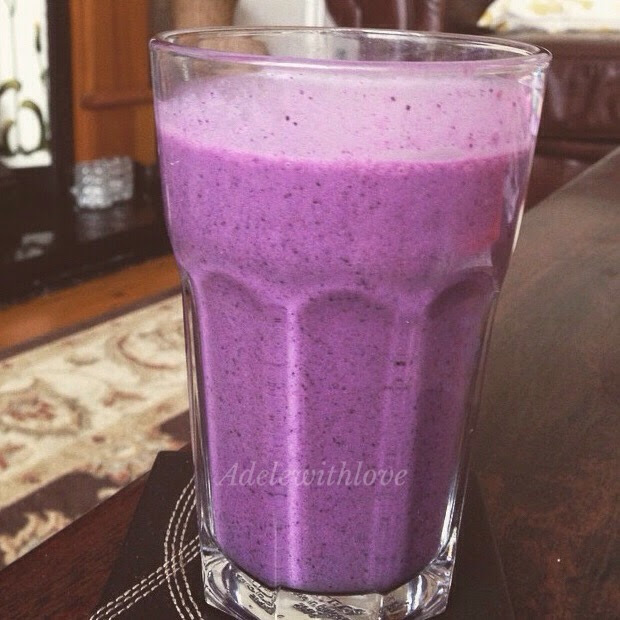 The frozen banana gives the smoothie a gorgeous milkshake feel to it and really fills you up. What is great about these drinks is that you can add pretty much any veg or fruit and get all of your nutrients in just a few sips! A classic snack that is very, very simple. You can of course make your own hummus, but I find that every shop has a great selection of Hummus to choose from. I love red pepper hummus, but the regular hummus is equally as delicious. 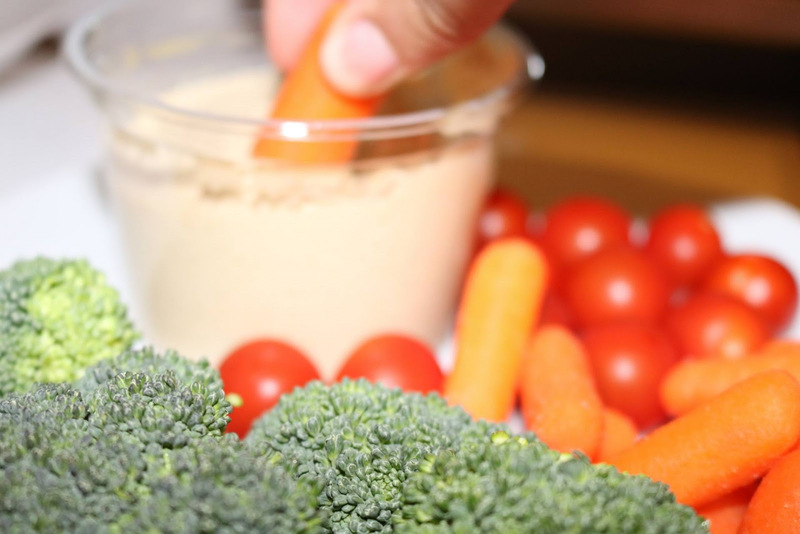 I like to take carrot sticks and cherry tomatoes to dip in, but again you can pretty much dip any vegetable in hummus and it will taste good. You could dip anything in really, hummus is just a simple dip that pretty much everyone loves. This is a great snack to have as you can buy bags of veg or chop your own and a tub of Hummus, which makes it very easy to take to work in your lunch bag. Perfect, simple and healthy! 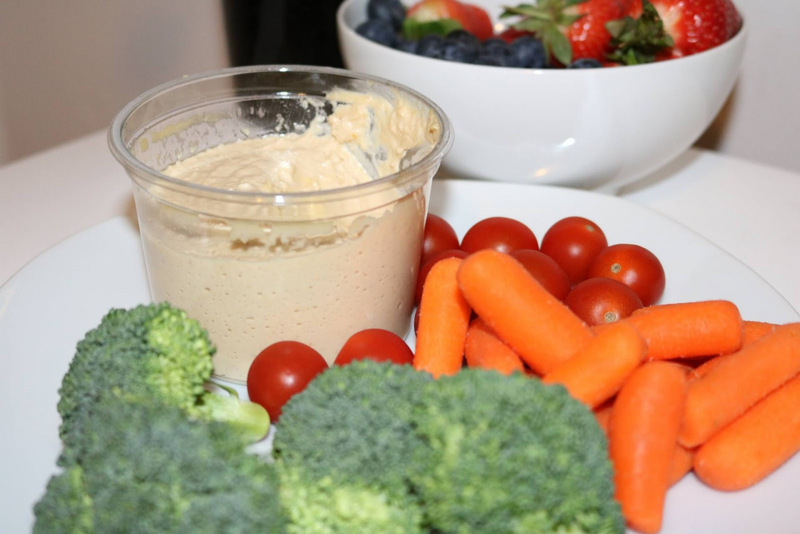 Very similar to hummus and veggies, as this snack is all about combining a healthy solid food with a tasty dip. Peanut butter is a great way of getting some essentials healthy fats, so long as you don’t pick up a peanut butter that is full of sugar! A nut butter with banana or apple to eat with is surprisingly filling and definitely a great sweet treat to balance all of the lean protein and vegetables. 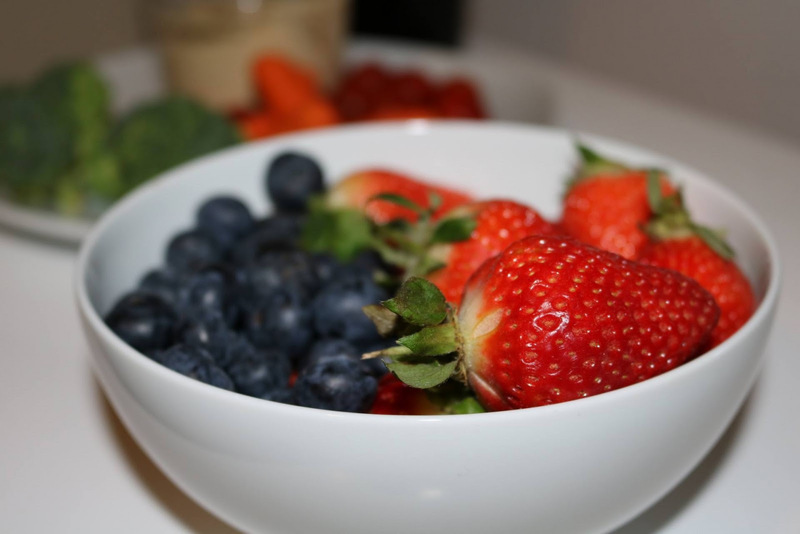 Another great snack I Love to have on the go are berries. 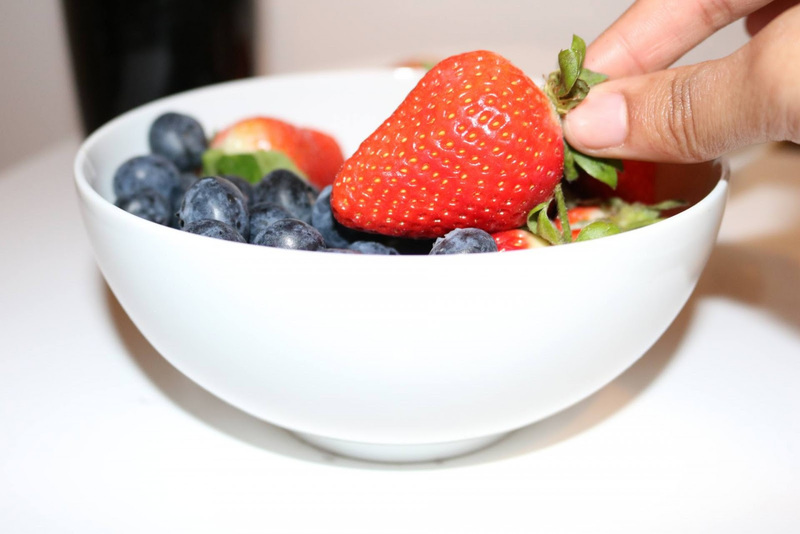 Strawberries and blueberries are my go to favourites, but all berries make a great snack whether at home or at work. Not only are these perfect for getting your 5 a day, they are also great for giving you that snacking feeling you may usually satisfy with crisps, without the added fat. Let me know your go to healthy snacks! Previous Post New Venture: Youtube! !